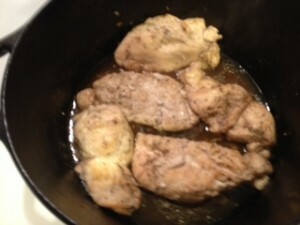 First season your boneless skinless chicken breasts with cajun seasoning, Black Pepper, salt, and a light shake of garlic powder. 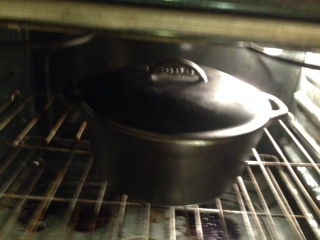 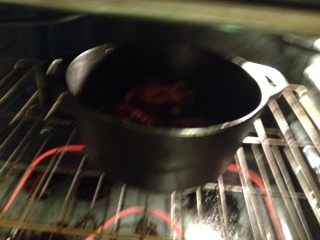 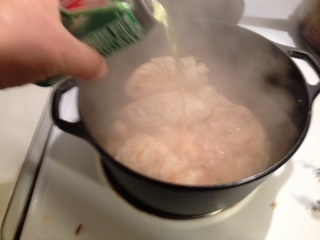 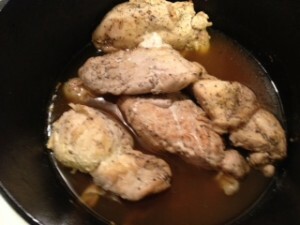 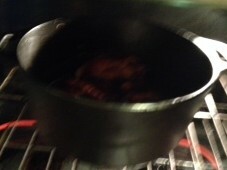 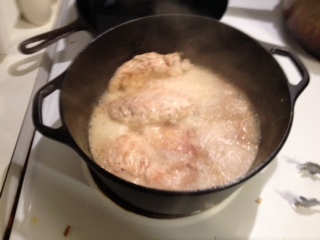 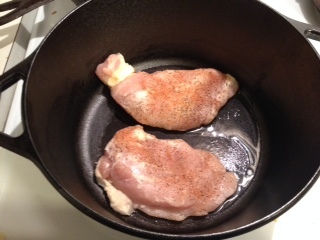 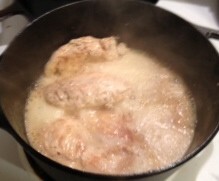 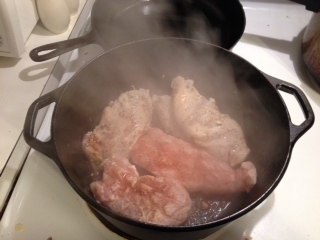 Get your cast iron dutch oven hot add a little veg oil and start browning your chicken pieces on both sides. 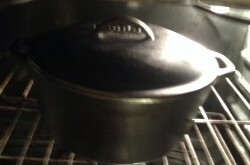 Turn off stove eye and put on lid, place your dutch oven in the preheated oven of 400 degrees and set timer for one hour. 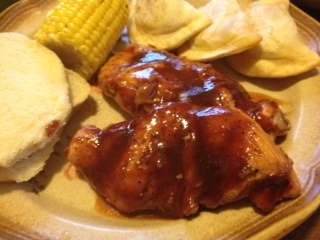 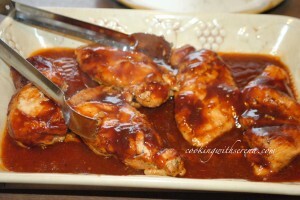 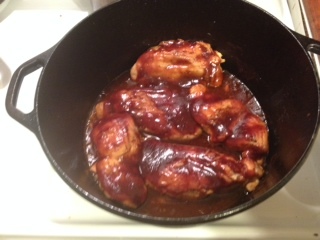 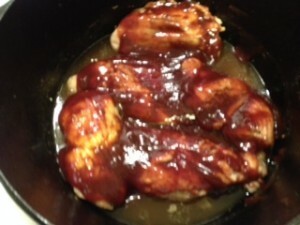 and take your favorite BBQ sauce, (we are using Sweet Baby Ray’s Original today) and brush over heavily on the chicken pieces..
LEAVING LID OFF place back in oven to finish baking in the 400 degree oven.. it should bake 12-15 minutes ..
We served with perigees and corn on the cob for a easy peasy dinner.